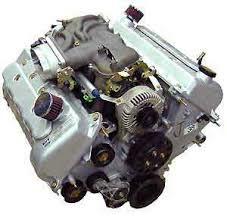 Whilst there are no specific requirements when moving an engine, it helps to prepare the engine first. In theory you could remove it from a vehicle and ‘throw’ it in the back of a van and it would get to it’s destination in one piece. It’s advisable to remove all liquids, prior to engine removal. That includes all coolants and oils. When it’s removed, using soft rags plug the holes left by the hoses and pipes – this prevents residues leaking in the van and staining / damaging the van floor. Where possible place the engine onto a plastic pallet, this is so that it if there is any spillage it can be easily removed and the pallet used again. A wooden pallet in this instance isn’t re-usuable. It may be worth wrapping the engine in recycled plastic sheeting for it’s journey. Secure the engine to the pallet using metal or plastic straps. Be very careful if you are looking to co-load an engine with food, cardboard, any porous materials as it can contaminate and damage other items in transit. Comments Off on How to move a car / van / lorry engine.